If the Saints were totally healthy they would have a great shot to win it all. They are the most complete team in the NFL. I think the Buffalo game was the only game were all of the starters were healthy, and we saw how that turned out. Maybe so, but you dance with the girl you brought. The Eagles would be an entirely different team too had Sproules not gone down early in the season and Carson Wentz, possible NFL MVP, had not been lost for the season late. That’s true, but the Saints have been hit extra hard with injuries all year: Armstead missed the first 6 games or so, Strief goes down in game 1, Lattimore missed a couple of games, Klein, Fleener, Peat, Okafor, and Vaccaro are on IR. It’s the next man up mentality in the NFL. I just hope we don’t run out of men. All teams have lost key players and just trudge on. That's a real testament to the coaches left standing as they all have had to deal with subbing for key players, and yet have kept their teams in it. Zimmer lost his top QB and top pick RB! Pats lost Edelman and multiple D-linemen. Steelers were without the best player on the outside (and still limited). I would point to 3 seasons recently where the overwhelming fav going into the SB was beat - Giants over Pats (twice) and Saints over Colts. You could also argue Broncos over Panthers (although anyone with Cam Newton at QB shouldn't be a favorite) and I believe Seahawks over Broncos was also a mild upset. "It's why you play the game!" And lest I point out that it's 7 straight Conference Championship appearances and 12 of the past 17 now for the pair that is Belichick and Brady. Not sure there has been another pair with consistent greatness in sports history. Not even Auerbach-Russell lasted that long. I don't buy that they're breaking up, but if they do, this may be an unmatchable run the way franchises handle assets nowadays. Saints have 20 players on IR, plus Brandon Colman is out today. It will take the coaching job of SP’s career to pull out a win today. Saints look horrible. Ref calls fall down by Minn receiver pass interference. Not looking good down 10 - 0 early. That horse collar call on Armstead was pitiful. How they call that a horse collar three plays after not noticing Brees getting hit in the head is beyond me. I had not realized until I read it just now that the Saints have won a total of one road playoff game in the history of the franchise. which NFL team or CFL team do you expect to pick him up? That was awful technique any way you slice it. I've seen a lot of arguments saying he had to duck to avoid a penalty. If that’s the case, it still supports my point of him using poor technique, especially for an NFL DB. And... Drew Brees is now 1-10 in Domes not called the Superdome. Man, do I feel badly for you Saints fans. That was a helluva a way to lose a football game. Unbelievable. It's so much fun to watch Payton and Brees manage a game, then pfffft! big brain f@rt. Me too. 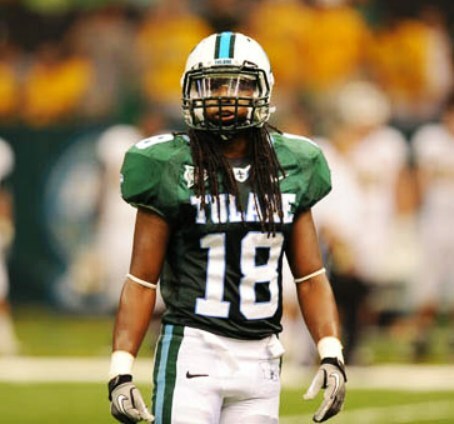 Because of Tulane and New Orleans, the Saints are my second favorite team, and not in a Dallas Cowboys way either. With the incredible comeback I was sure that early season banter I had here with someone about an Eagles-Saints NFC Championship was going to come true. Up until that missed tackle I figured the Vikings would run out of time. Not sure how the Eagles will fare next Sunday. With Foles it’s been a prayer so far but one never knows. I feel terrible for Marcus Williams. He played great all year then this. He is more devastated than anybody. The 49ers game in the 2011 playoffs was worse. They fought back like champs and let it get away. I'm a fan again because of this team so I'll never forget them. Feel bad for y'all. That was a tough way to go. I even had my kids rooting for the Saints (or as my daughter misread the screen when I first turned it on, the "Santas"). No offense TUPF, but I dislike all four remaining teams now. Blech. The guys on Wwl postgame were referring to this as the worst moment in franchise history. I have no clue how they could come up with that. It just feels like a complete lack of perspective of the first 40 years of saints history. My memory mostly spans good years (save Ditka), and it’s not the worst moment of that timeframe. Save Ditka meaning the greatest years ofyour history? No offense TUPF, but I dislike all four remaining teams now. Blech. None taken. After Wentz went down, I keep waiting for Wile. E. Coyote to realize gravity takes over. However, I would like nothing better than to knock the smugness off of Brady/Belechek if we somehow manage to pull off a second playoff win as underdog over Minnesota. Foles, Keenum, Bortles, Brady. One of these is not like the other. Jags-Vikes would be fun. Jags-Eagles is fine too. Money is on the Pats though.